Scanner speed while scanning 36-inch wide document. ♦﻿ = Included. o = Upgradable ﻿. 2) Contex applications create industry standard raster file formats that can be used in any CAD or GIS application. 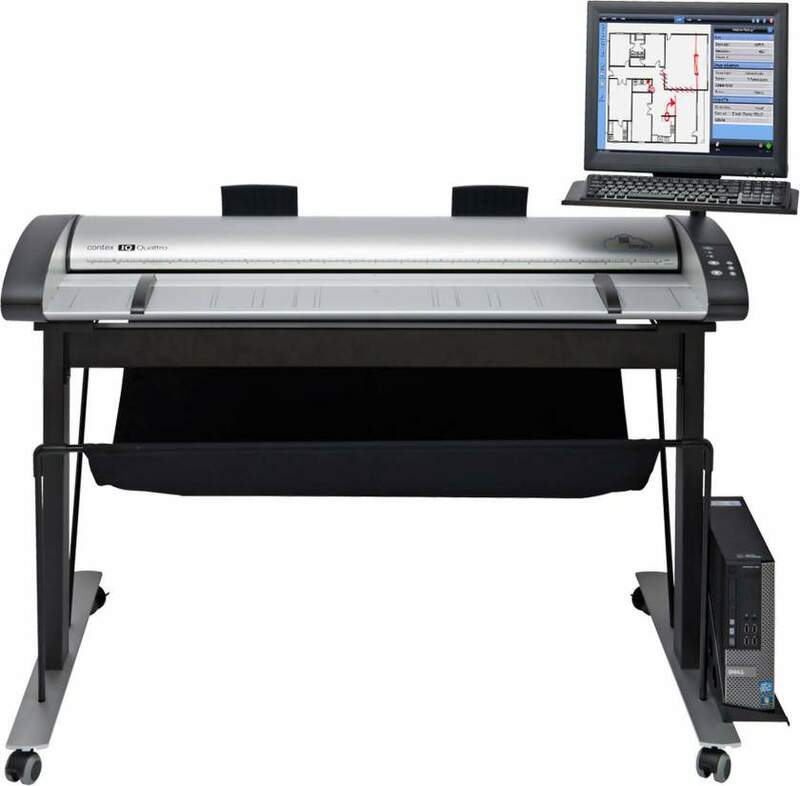 As the world’s largest developer and producer of wide format imaging solutions, Contex leads the market with innovative technology and advanced scan and copy software solutions. The ScanStation series of scanners utilizes a long list of key technologies unique to a Contex. The New ScanStation is powered by a Intel CORE i7 processor for optimal performance and speed. The IQ Quattro series scanners captures all details with advanced 48-bit CIS technology. By combining CIS with Contex Natural Light and high quality camera optics you are ensured the best possible results in every scan. Like photography, scanned image quality depends heavily on lens quality. Using lenses that are specifically designed for the scanning resolution will ensure against various problems, from uneven sharpness to chromatic errors and color fringing (black lines show up in color). This is why Contex uses custom Fujifilm lenses in all CCD based scanners. To get the best results, your scanner and software should work with full 48-bit data. Where other scanners ignore some of this data, the HD Ultra is the world’s only wide format scanner with true 48-bit. Contex HD Ultra scanners have several different options for color space. In addition to the common sRGB the HD Ultra also offers color spaces with wider gamut as preferred by color specialists. Adobe RGB and Device RGB has a larger color gamut than sRGB, hereby allowing differences in very bright and saturated colors to be maintained in the file. The light source is custom fluorescent with a high Color Rendering Index (CRI > 95) to produce the most accurate colors possible. The CCD itself is high resolution and capable of capturing 48-bit color, but Contex have the unique ability to process the entire 48-bit color data - resulting in the most accurate color images you can get from a scanner today. Wide Range of included "Application Printer Drivers"
Included with The New scanStation you get an extensive list of optimized drivers for large format printers. This means you can connect all your wide format HP, Canon or EPSON printers at no additional cost. The controller will automatically search the network for available HP, Canon and EPSON printers.